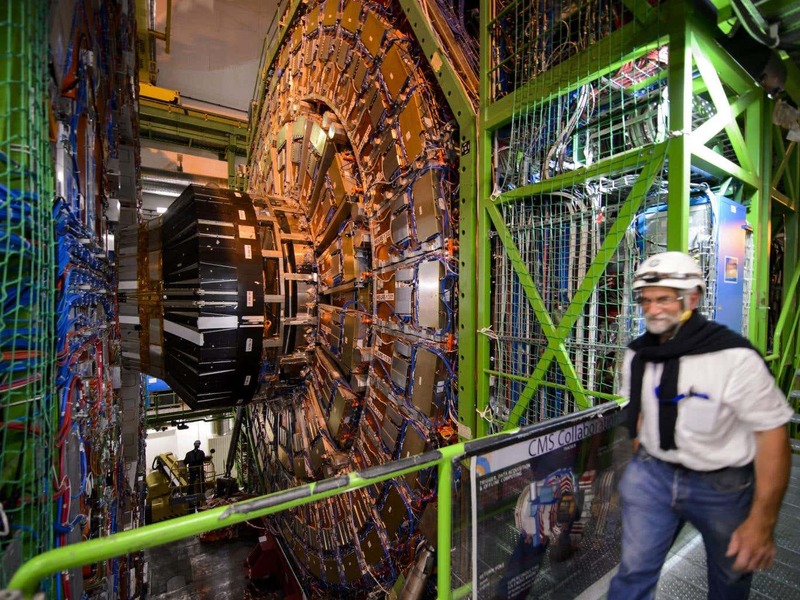 Scientists At Large Hadron Collider Hope To Make Contact With PARALLEL UNIVERSE In Days | Grindin' | Stay on it! The staggeringly complex LHC ‘atom smasher’ at the CERN centre in Geneva, Switzerland, will be fired up to its highest energy levels ever in a bid to detect – or even create – miniature black holes. If successful a completely new universe will be revealed – rewriting not only the physics books but the philosophy books too. It is even possible that gravity from our own universe may ‘leak’ into this parallel universe, scientists at the LHC say. The experiment is sure to inflame alarmist critics of the LHC, many of whom initially warned the high energy particle collider would spell the end of our universe with the creation a black hole of its own. But so far Geneva remains intact and comfortably outside the event horizon. Indeed the LHC has been spectacularly successful. First scientists proved the existence of the elusive Higgs boson ‘God particle’ – a key building block of the universe – and it is seemingly well on the way to nailing ‘dark matter’ – a previously undetectable theoretical possibility that is now thought to make up the majority of matter in the universe. But next week’s experiment is considered to be a game changer. Mir Faizal, one of the three-strong team of physicists behind the experiment, said: “Just as many parallel sheets of paper, which are two dimensional objects [breadth and length] can exist in a third dimension [height], parallel universes can also exist in higher dimensions. “We predict that gravity can leak into extra dimensions, and if it does, then miniature black holes can be produced at the LHC. “As gravity can flow out of our universe into the extra dimensions, such a model can be tested by the detection of mini black holes at the LHC. “We have calculated the energy at which we expect to detect these mini black holes in ‘gravity’s rainbow’ [a new scientific theory]. “If we do detect mini black holes at this energy, then we will know that both gravity’s rainbow and extra dimensions are correct.” When the LHC is fired up the energy is measured in Tera electron volts – a TeV is 1,000,000,000,000, or one trillion, electron Volts So far, the LHC has searched for mini black holes at energy levels below 5.3 TeV. But the latest study says this is too low. Instead, the model predicts that black holes may form at energy levels of at least 9.5 TeV in six dimensions and 11.9 TeV in 10 dimensions. Looks like your connection to Scientists At Large Hadron Collider Hope To Make Contact With PARALLEL UNIVERSE In Days was lost, please wait while we try to reconnect.